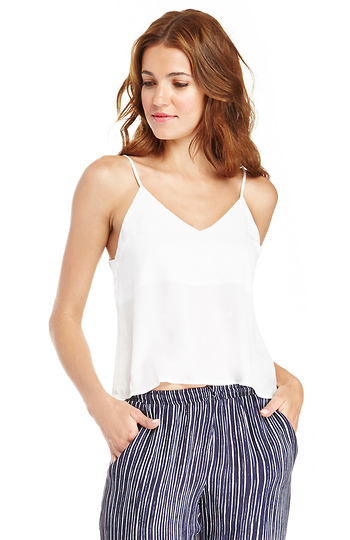 Spend the evening on the dance floor while wearing our Miley V-Neck Woven Cami. This sleeveless beauty features adjustable spaghetti straps, low-cut back, and slight lining that covers the bust. Keep your cleavage covered while slimming your curves with our Seamless Bra Top. Complete your look with a floral print blazer and leather pants for a sophisticated look. Length with straps fully extended: 22 in.